The strange and terrible thing about that ALS ice-bucket challenge is that it ended years ago, and yet we are still feeling its effects. 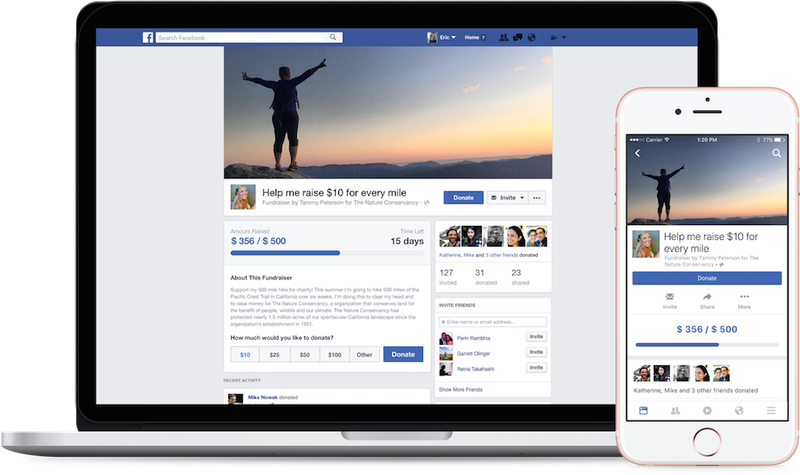 Facebook was inspired by its viral success to create a feature that lets all of us fundraise for charity without ever leaving the site. Let’s get the big question out of the way: Yes, Facebook gets a portion of the proceeds. Five percent to be exact, of which 2% going to cover security costs and 3% for payment processing. It only allows us to fundraise from a list of U.S.-based organizations with 501(c)(3), or non-profit, status, so don’t worry, your friends’ Indiegogo art projects and Kickstarter campaigns are still alive and well. Initial partners include Oxfam and the Alzheimer’s Association. The feature was originally used by organizations themselves but now has been expanded for individual users too and will roll out to everyone in the coming weeks. The foundations receive money directly from Facebook every 15 days for amounts over $100. It’ll be integrated with Messenger and all of us who find it in our hearts to donate will have to pay the price of being prompted to share and pressure others to do the same. The fundraising feature was created by the same Social Good team that brought us Safety Check. The idea is that we are susceptible to personal pleas and spend more time on Facebook than on random charity websites, so this will help raise more money. Of course, being able to raise money from Facebook means spending more time on Facebook, which might raise more money for...Facebook, which is definitely not a non-profit.